This project emerged out of my 2010-11 fellowship with the Emory University Woodruff Library and my dissertation research. 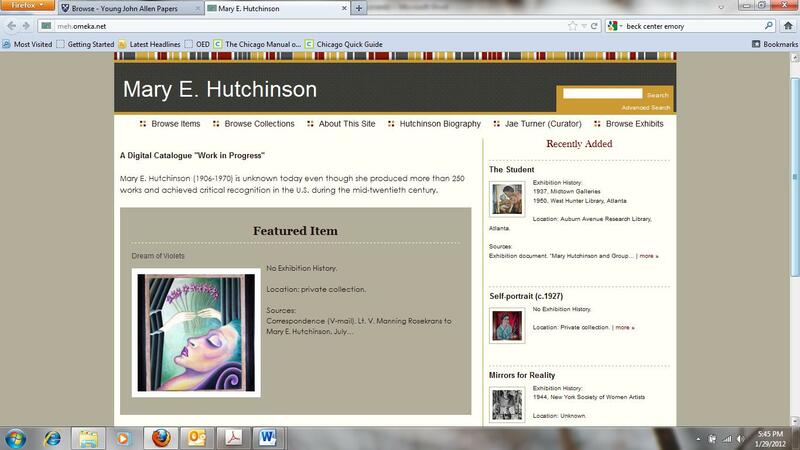 It is an on-going effort to bring scholarly attention and public awareness to the mid-twentieth-century American artist, Mary E. Hutchinson. The site utilizes the Omeka content management system developed by George Mason University’s Center for History and New Media. Mary E. Hutchinson (1906-1970) is unknown today even though she produced more than 250 works and achieved critical recognition in the U.S. during the mid-twentieth century. This site brings her work into public access, and critiques the structures and limits of art history associated with gender, sexuality, and race which have rendered her life as an artist, as well as her work, unintelligible. 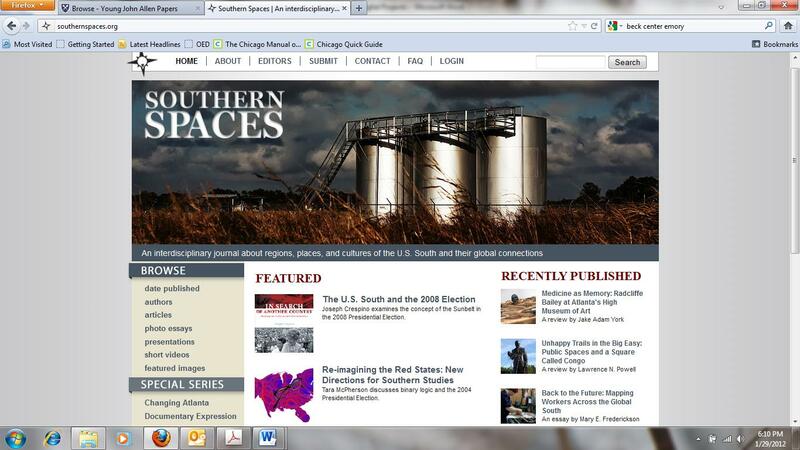 As a Woodruff Library Fellow (2010-11), I worked with the editorial team of Southern Spaces. I gained practical experience in digital scholarly publishing from the initial review process to layout and multimedia integration. 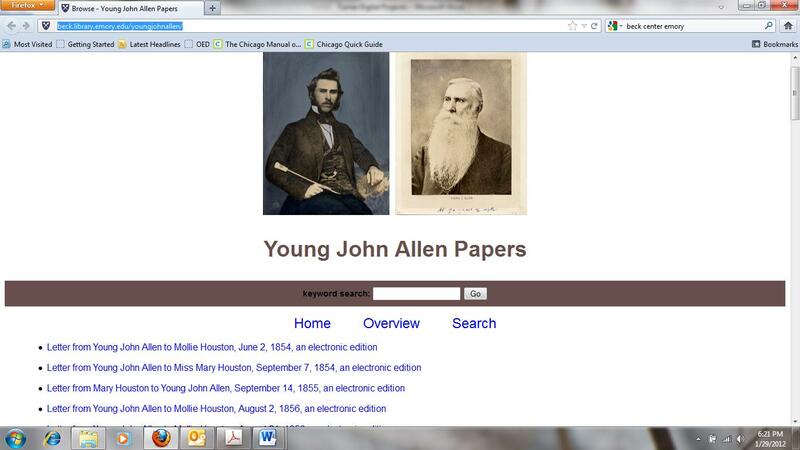 As an Em ory University Beck Fellow (summer 2011), I worked on a variety of projects including the Young John Allen Papers. In collaboration with the Emory Manuscript, Archives, and Rare Book Library (MARBL), the Beck Center digitized, transcribed, and encoded nineteenth-century correspondence associated with a prominent Methodist missionary.